The film studio behind the Lord of the Rings trilogy is being sued for $150m (£76.8m) by JRR Tolkien's estate over claims it failed to pay any royalties. In a legal action filed in Los Angeles Superior Court, the writer's estate said it had received nothing from the $6bn (£3bn) made by the blockbusters. It contends that New Line Cinema only paid it an upfront fee of $62,500 (£32,000) for the award-winning films. 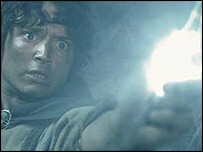 Legal action could delay an expected prequel to the fantasy epics. Tolkien's estate, along with publisher HarperCollins and The Tolkien Trust charity, have claimed compensation and punitive damages, according to court papers. The estate has also asked for a court order giving them the ability to terminate any rights the studio have to make films based on other Tolkien works, including The Hobbit. Director Peter Jackson, who was behind the Lord of the Rings trilogy, has already signed up to make the two-film prequel to the story, which is scheduled for release in two to three years' time. Steven Maier, a lawyer for the UK-based Tolkien Trust, said the organisation had "unsuccessfully tried to resolve their claims out of court". "New Line has not paid the plaintiffs even one penny of its contractual share of gross receipts, despite the billions of dollars of gross revenue generated by these wildly successful motion pictures," his statement added. Mr Maier also claims that the estate and other two organisations were blocked from auditing receipts from the last two films. 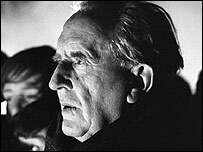 The legal action states that an original film deal signed by Tolkien in 1969 and picked up by New Line in 1997 would give the estate 7.5% of all profits made by any films based on his work. Other legal wrangles have hit the films, with Oscar-winner Jackson settling out of court with New Line last year in a dispute over profits.